This 5 piece are one heck of a combo! Handsome boys, with sultry voices, 1st ever single goes to no:1 what to expect next? Well girls, didn’t want to have to you going all gooey at the screen, but these guys make it a lot harder to resist. 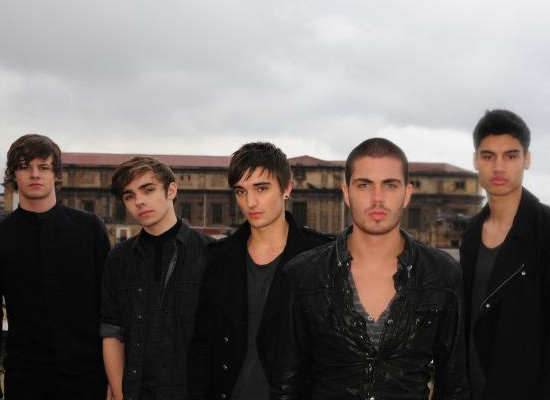 Heart Vacancy is the boys second single and with a no:1 already should we say no more? Ladies, we have a new UK boy band on the scene who are already at no:1 with their hit new single “All Time Low”, and to beat Eminem, Travie McCoy & others say a lot about the potential these guys have in store too! Signed to Geffen Records, the members that form The Wanted are Jay McGuinness, Max George, Nathan Sykes, Siva Kaneswaren and Tom Parker. Check out their 1st single which is no:1 in the UK charts and is available to buy now!